There couldnt be a better scenario than the 2008 Villa dEste Concours dElegance for the debut of the stylish A8GCS Berlinetta Touring prototype, a berlinetta Gt marking the return of the famous Milan coachbuilders, among the leaders of the Italian automotive school. 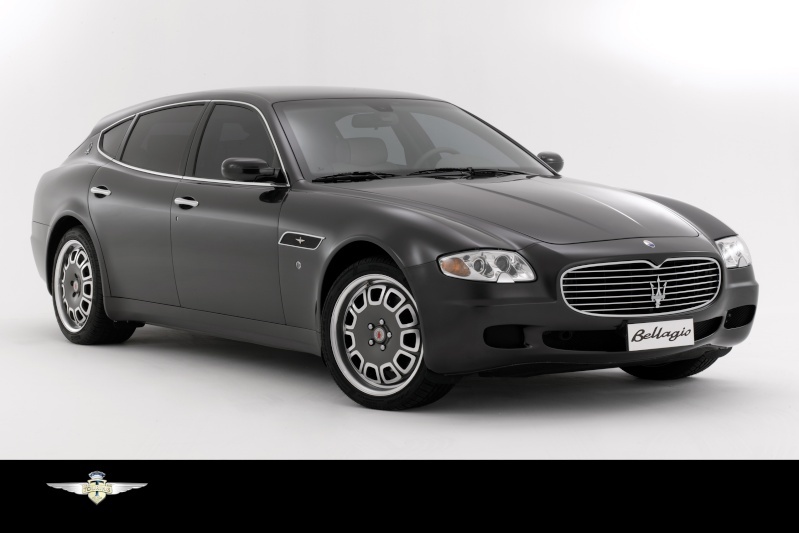 Based on the Maserati Coupé GranSport mechanics, the A8GCS Berlinetta Touring represents the high performance sports car concept, with small dimensions, state-of-the-art constructive technology and perfect stylish synthesis between factory tradition and advanced aesthetic criteria. The new A8GCS Berlinetta Touring has been designed by the young Belgian designer Louis de Fabribeckers, in charge of the Touring styling department. The A8GCS Berlinetta Touring lines are not affected by time or fashion: the car is characterized by a soft aggressiveness originated by the perfect balance between the front end, directly derived from competitions, and the harmonious and fluent flanks reminding of the extraordinary Alfa Romeo, Isotta Fraschini and Lancia Flying Star of the Thirties, an exceptional series created by Touring and still considered the best interpretation of Marinetti and Boccionis Futurism. The Carrozzeria Touring Superleggera style is first expressed through perfecly balanced volumes (reduced front overhang, front central engine and large rear overhang). The result is a dynamic form that doesnt need a lowered waistline. Moreover, the horizontal development of lines create a natural elegance. The sporty look of the car is underlined by the combination between bonnet and front grille. An element dashing forward the other volumes. Hence the lateral lines of the body: the lower line ends on the rear wheelarch and the upper line dissolves in the rear end of the car. Together they create a dynamic sail shape, as on Flying Stars. Of course, also the most successful car design is not enough to make an alive and complete object. It must be combined with excellent dynamic qualities, derived from state-of-the-art technical solutions. For the prototype A8GCS Berlinetta Touring, Carrozzeria Touring Superleggera studied and designed a body in advanced composite materials, able to give the car lightness, structural strenght and performance typical of top granturismo and obviously respecting all international safety and environmental rules. The result is clear: the style protoype A8GCS Berlinetta Touring is able to enter small series production, gaining immediately a top place among the best sports cars. The need of a small élite of rich car enthusiasts to have a quick, sporty but also roomy and functional granturismo, able to carry without problems any equipment useful in the spare time, such as shotguns, golf-bags, skis and water-skis, dates back to the Fifties. In Great Britain they were defined shooting brake and in general they were produced in small series using high standing sportscars chassis. But the industrialization brought to the disappearance of those prestigious cars. 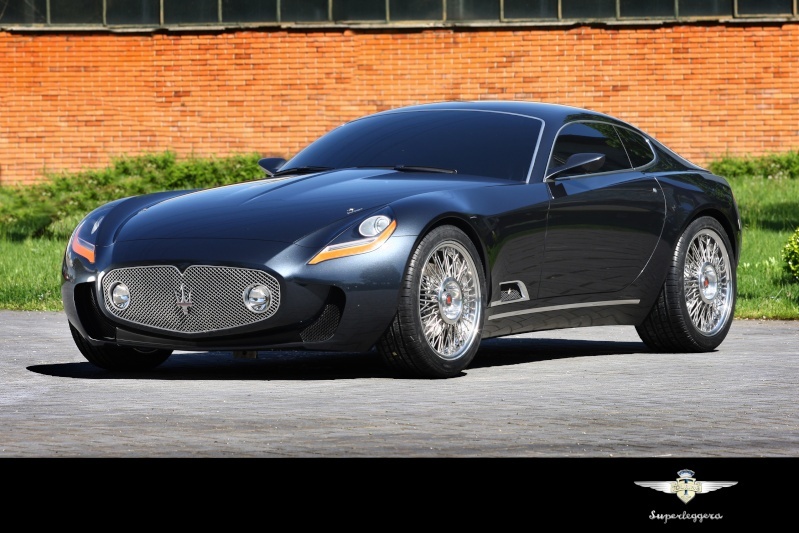 Those interested in buying a Bellagio Fastback Touring must address to Carrozzeria Touring Superleggera or to Rossocorsa, the Milan Maserati dealer. After the delivery of a Maserati Quattroporte saloon (any version) the work starts and is realized together with the client, wholl be involved in any choice: a unique and fascinating experience, almost impossible to imagine, in the era of mass production also for extreme cars. The price of a Bellagio Fastback Touring depends on the basis of the chosen saloon version, of specific requests and of used materials, but the starting price is identical or even lower than equivalent sportscars: with a Bellagio Fastback Touring a particularly demanding expert can have a custom-builtcar at the price of a super car. And, above all, a tailor-made Maserati signed Carrozzeria Touring Superleggera.